SKU: BRAC-BE-M. Categories: Bracelets, Cuffs & Arm Rings, Medium Braided Bracelets. During the Winter Solstice, Celts often called upon the Great Bear for safety throughout the dark winter months. Luckily for you, our Celtic Bear Bracelet can protect you all year long. 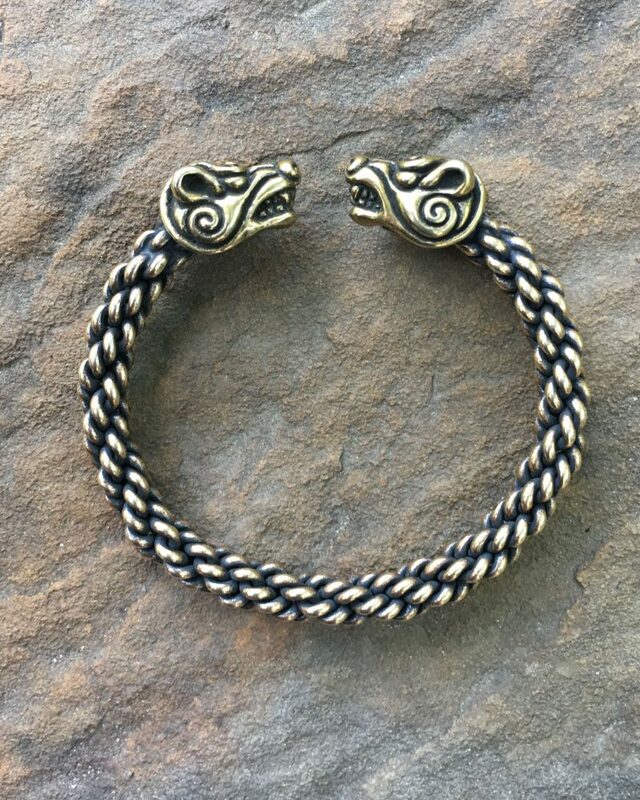 Our Medium Bear Bracelet is constructed with a medium braid of wire, and is approximately 5/16 inch (8 mm) thick. It is available in bronze and sterling silver. We also offer a Heavy Bear Bracelet. The Celtic goddess Artio was a bear goddess who presided over the changing of the season. She was said to conjure winter when she needed rest (hibernation). Upon awaking, she would summon the summer. Hunters would invoked her spirit to guide them to safety and success. Because these fierce animals live solitary lives, the bear has come to symbolize courage, strength and the ability to take control of one’s life.